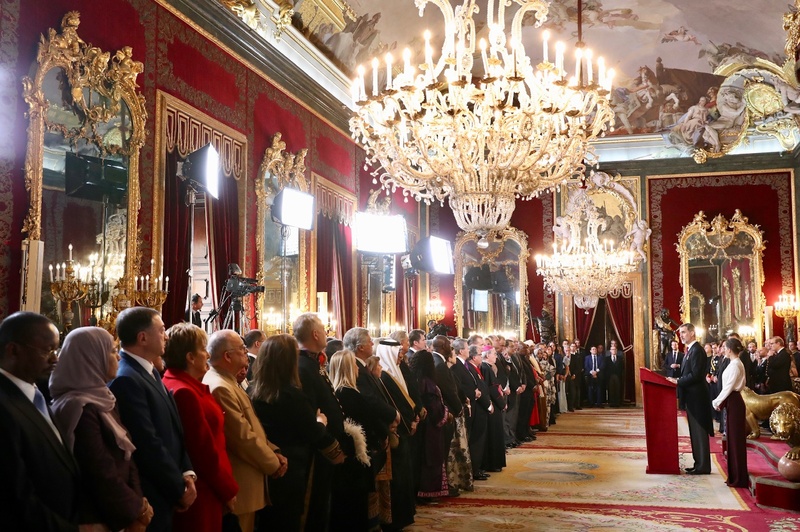 On Tuesday, King Felipe VI and Queen Letizia of Spain offered the traditional annual reception to the Diplomatic Corps accredited in Spain at the Royal Palace of Madrid. 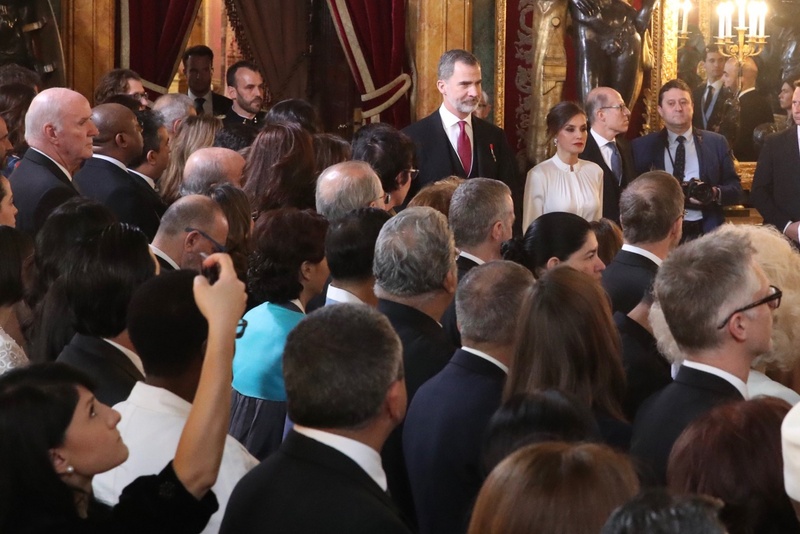 The reception was attended by the Prime Minister Pedro Sánchez, Minister of Foreign Affairs and Cooperation, high-ranking officials of the Government and Ministry of Foreign Affairs, European Union and Cooperation. 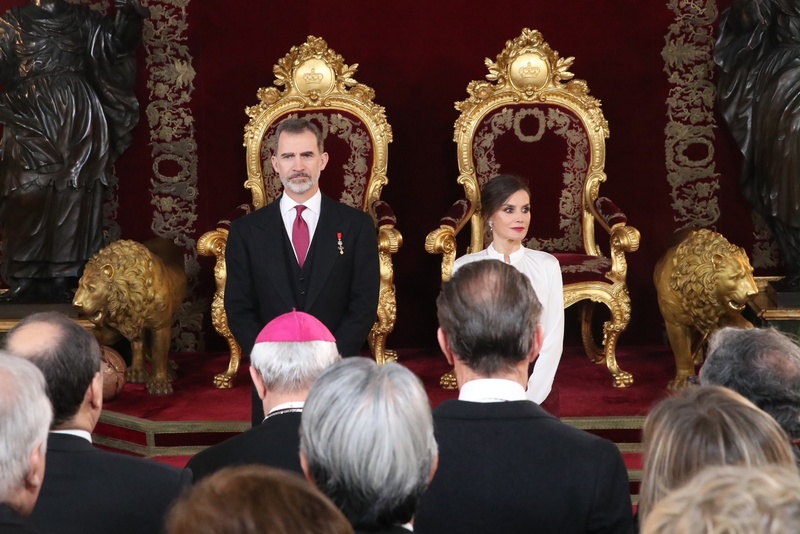 Felipe and Letizia arriving for the Reception. 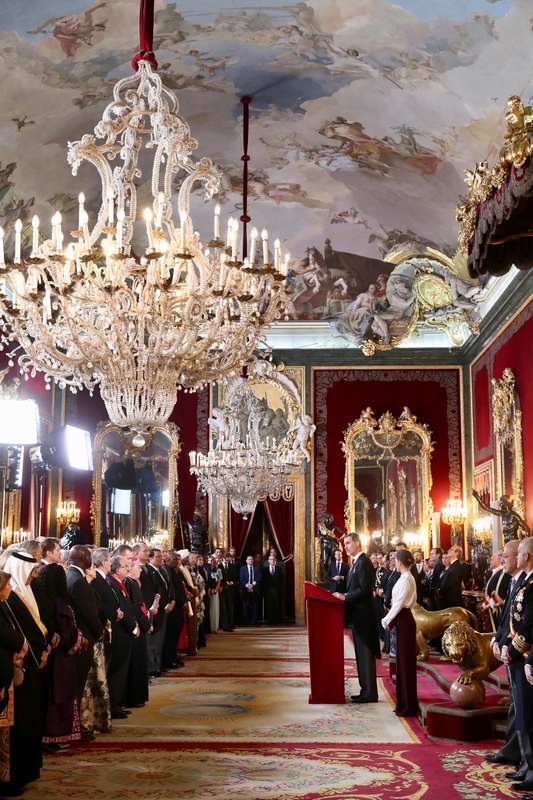 After the greetings, the reception was held in the Throne Room of the Palace. 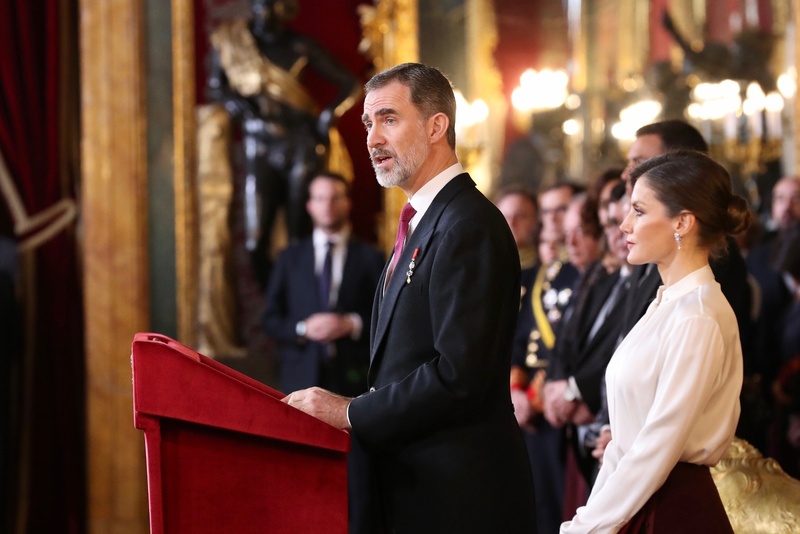 King Felipe addressed the gathering. 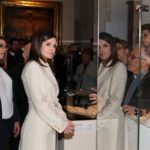 For the annual event, Queen Letizia brought back her classic style. 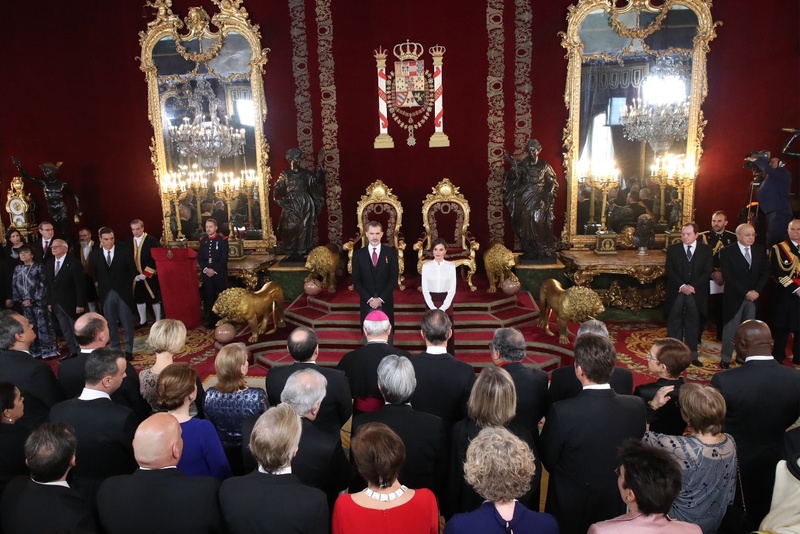 She chose the combination of burgundy and white matching the interior of the Throne Room. 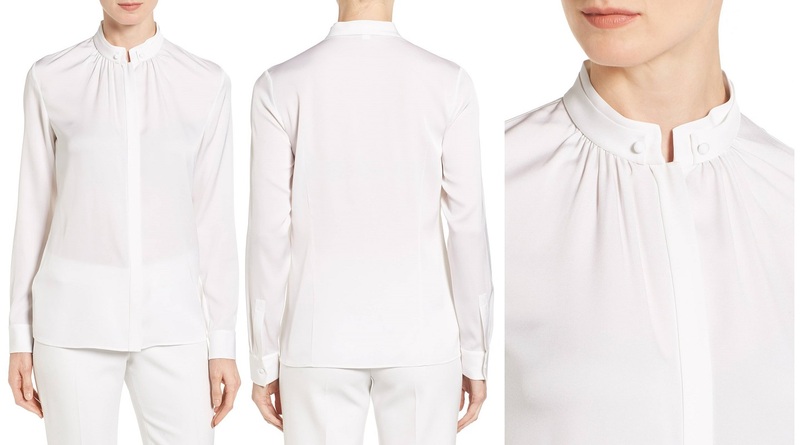 Queen was wearing white Blusil Stretch Silk blouse from her go-to label Hugo Boss. 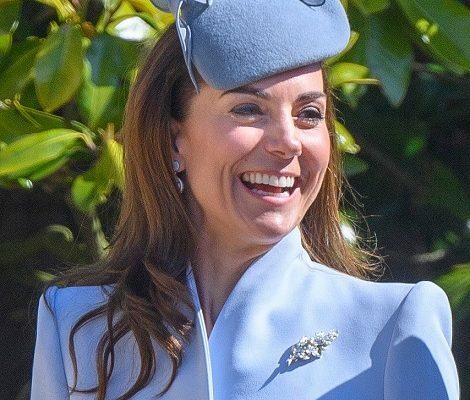 Highlighted with shirring, the full-sleeve blouse features a layered Mandarin collar detailed with covered buttons. The blouse is cut from flowy stretch-silk georgette in a creamy, pink-tinged neutral. 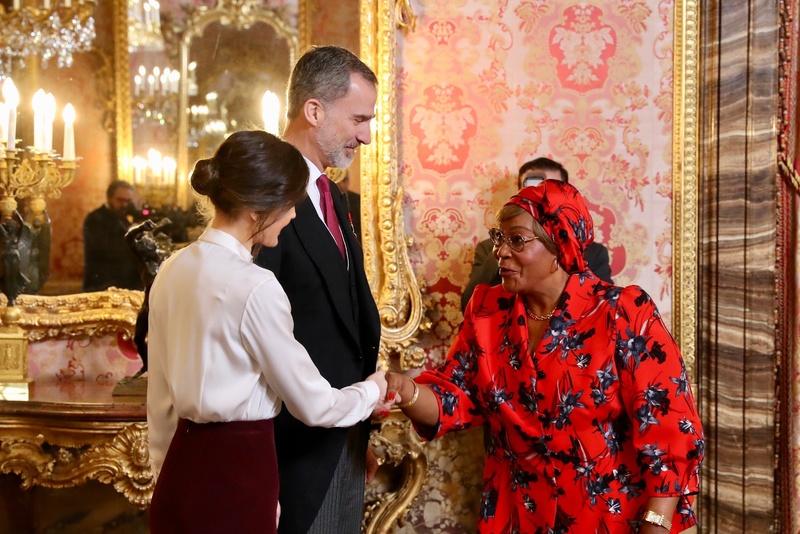 Letizia wore the blouse first time in May 2017. 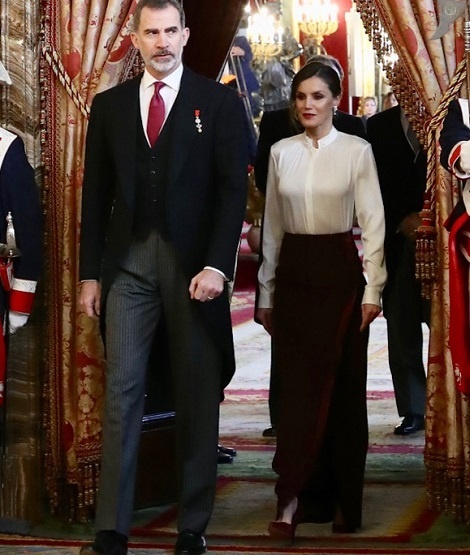 Embed from Getty ImagesLetizia paired the blouse with a new burgundy velvet long maxi skirt from her in-house designer Felipe Varela. 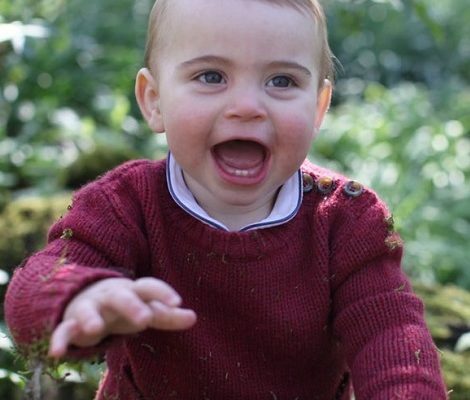 The skirt features a side button closure. 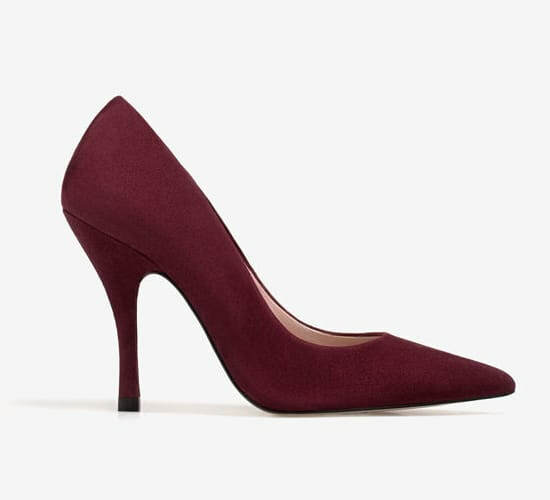 Queen was wearing Uterque burgundy curved heel suede pumps. 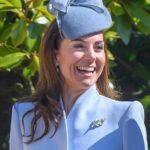 Embed from Getty ImagesLetizia finished her look with a pair of white gold and diamond waterfall earrings first seen at the concert of Princess of Asturias Awards in 2014. They are still unidentified. 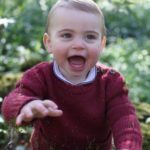 A look back at Queen’s previous appearances on the same event.